GOOGLE is ready to launch a new smartphone campaign against Apple and Samsung this week. But can a smarter smartphone win your dollars? While the company dominates smartphone software, it's struggled to match that success in hardware. The might and shiny devices of Apple and Samsung have simply proven too powerful, and their audiences too loyal. 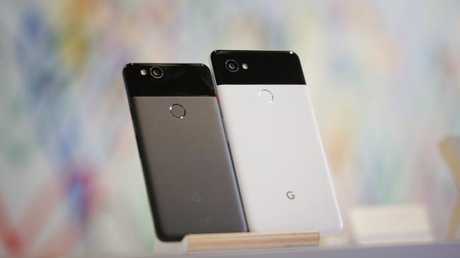 But the Pixel 2 XL, available for pre-order on Friday, is Google's most convincing challenger yet. It's not only a smarter smartphone, thanks to some cunning artificially intelligent additions, but its hardware has seemingly improved by at least two generations since its predecessor. Does it offer enough features and perks to dislodge iPhone and Galaxy fans from their devices, though? We put Google's second Pixel to the test to find out. Google is a fast learner ... perhaps because it sees everyone's questions. The company has significantly improved the hardware in its second homemade smartphone and it's obvious when you look at the phone, and confirmed when you pick it up for the first time. 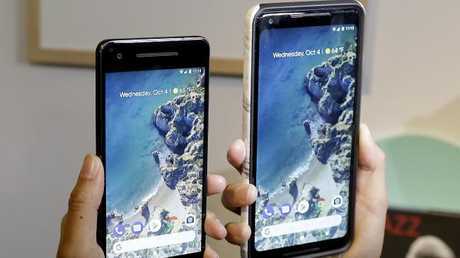 The Pixel 2 XL boasts a six-inch screen - an upgrade from the 5.5-inch display of its predecessor - and like leading smartphone makers, it's achieved this by whittling down the screen borders. Those borders aren't quite as skinny as its Samsung and Apple rivals, but they're small enough to create space for a big canvas in a small form, and keep your attention where it should be. 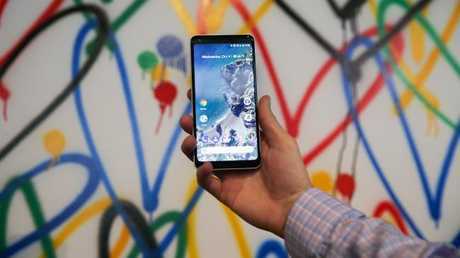 The phone also features a longer aspect ratio, at 18:9, and puts a greater resolution on its pOLED screen than its iPhone X rival, at 538 pixels per inch. It's not just the screen that's improved, though. As soon as you lift this phone, you'll notice the textured metal rear panel that stops this phone from slipping off surfaces (just don't rest it on its curved glass face). It's also IP67 water-resistant for the first time, features a speedy Qualcomm Snapdragon chip with 4GB RAM, a substantial 3250mAh battery that charges quickly, and its base model comes with 64GB storage - a belated recognition that even if with cloud storage, you still need plenty of storage for apps on a truly high-end smartphone. There is one notable step backwards in hardware, though, and it's one Apple users will recognise. There's no headphone jack to be found on the Pixel 2 smartphones. You'll find a USB-C headphone adaptor in the box, and you'll be forced to adapt with it. If imitation is the sincerest form of flattery, Google is really complimenting Samsung, Apple, and HTC with some new Pixel 2 XL features. One of the most novel is something Google calls Active Edge but you may know as HTC Edge Sense from its U11 smartphone. Essentially, you can squeeze the sides of this smartphone to trigger Google Assistant, or while the phone is ringing to silence an incoming call. Sadly for HTC, it's better executed in Google's phone. It brings up Google's voice assistant quickly, and its grip-friendly exterior means it doesn't slip from your fingers as readily. Apple iPhone users are also likely to recognise Google's new Motion Photos feature. It captures a few seconds of videos with every still photograph, and lets you play them back later. Sounds pretty similar to Live Photos, doesn't it? And for Samsung fans, Google has added Always-On Display to its repertoire. It shows the time, date, and app icons on the phone's dimmed screen, just like Galaxy handsets. Google's expertise in artificial intelligence and machine learning is evident throughout this phone. Take its 12.2-megapixel camera, for example. You could criticise Google for not adding a second rear lens and, while this means it lacks an optical zoom, it can produce portrait photos similar to those from dual lens cameras with smart processing that artificially blurs what it determines to be the background. The camera's autofocus, exposure, contrast, and accurate colour won it the top score so far from DxOMark Mobile and its accuracy is evident when you use it. This camera will focus on subjects closely, and it features enough exposure, modes and focusing tweaks to ensure you get shareable images. Its imaging software is simply smarter. This smartphone also introduces Google Lens, an augmented reality feature that sits inside its camera app. If you take a photo of a landmark, a book, or even a product, you can ask Google to identify it and deliver more information about it. In our tests, it nailed products every time, and did what Samsung's Bixby has so far only promised. 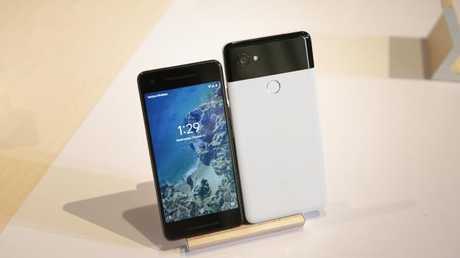 Other smart features in this phone include Google Assistant which, while not infallible, boasts the best search results and most accurate voice recognition of the voice assistants, plus an entire home screen of Google suggestions about what you might like to read on the web, your upcoming trips, and sports fixtures in which you're interested, just one swipe to the right away. But the niftiest smart feature might be on hidden deep within its menu. It's called Now Playing and it automatically listens to songs playing nearby, be in a cafe or on the radio, and displays the song title and artist on its display. This unique music trivia feature can be super handy when you just can't get to Shazam in time. IT'S a big year for smartphones and a bold decision to take on Samsung's resurrected Note and Apple's 10th iPhone. The Pixel 2 XL proves that Google can compete in the big league, though. It addresses omissions with the previous Pixel - a lack of water-resistance and storage - and boosts its hardware game with a gorgeous, six-inch display, matt metal, and outstanding camera. The addition of AI features, like Google Lens and Now Playing, also plays an important part in making this a showcase of what Google can do, and why iPhone and Galaxy users should consider making a switch. The second Pixel not a slam dunk, though. Considering its premium price, the phone's lack of a dual camera is disappointing. There's also no face scanner or wireless charging in this handset, which both of its major competitors now offer. And Google's decision to ditch the headphone jack removes Android fans' ability to pick on their Apple equivalents. It makes everyone but Samsung users equally reliant on tiny headphone adaptors. 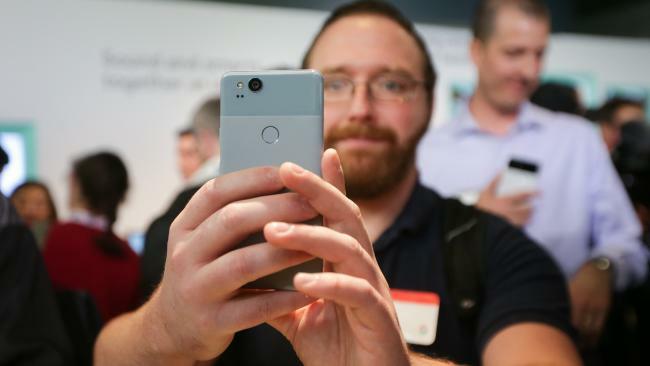 If you can overlook these omissions, the Google Pixel 2 XL is a slick, high-end phone that demonstrates just how fast Google's hardware is evolving. Android users, in particular, should appreciate how far it's come, and everyone should pay attention to where it's going next.